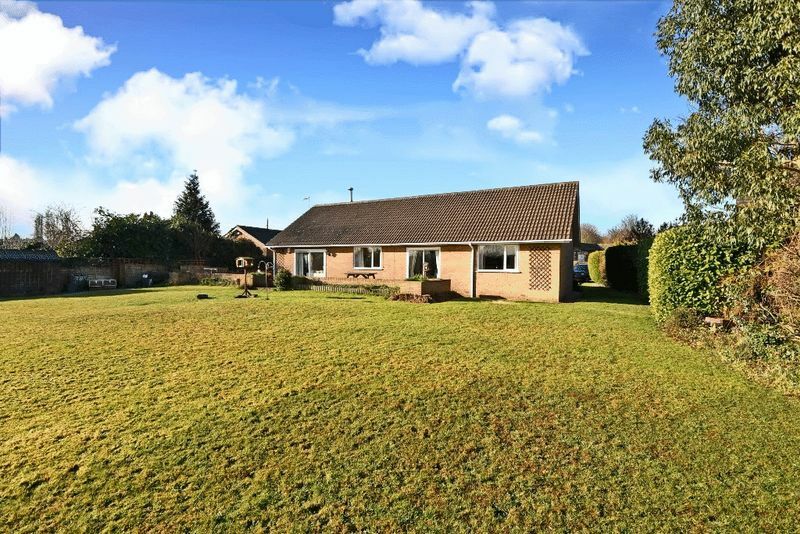 Offered for sale with no onward chain is this versatile and adaptable family property comprising a spacious detached 4/5 bed bungalow together with separate large office / workshop all set within generous 0.4 acre grounds. 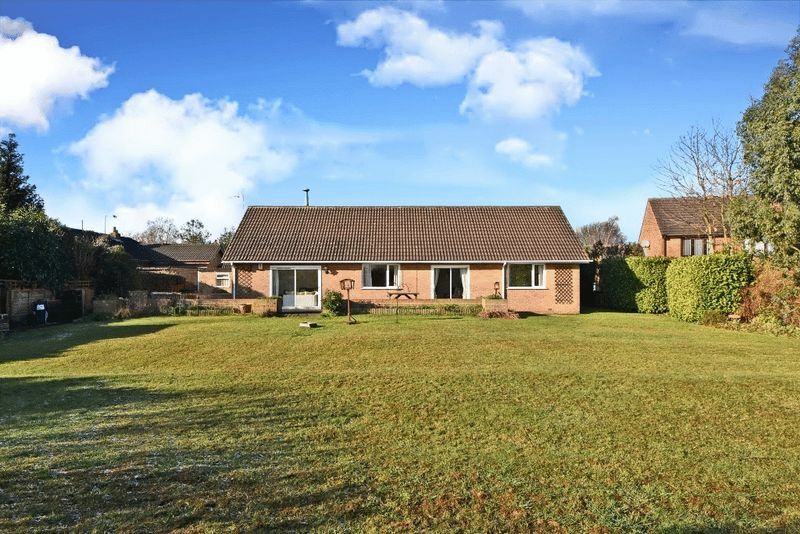 Ideal for a multi-generation family or anyone running a business from home and having scope for further upgrade, conversion or extension subject to satisfying any planning consents. 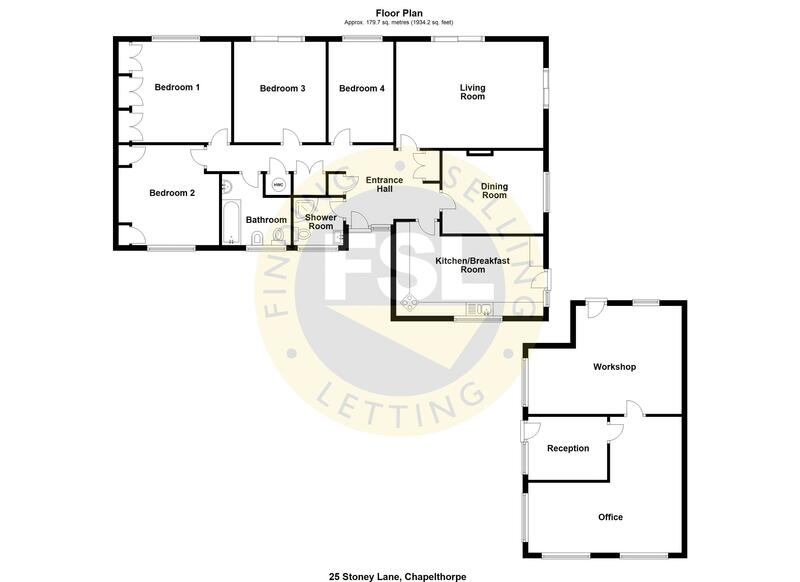 For further details and to arrange a viewing call FSL Estate Agents on 01924 200101. 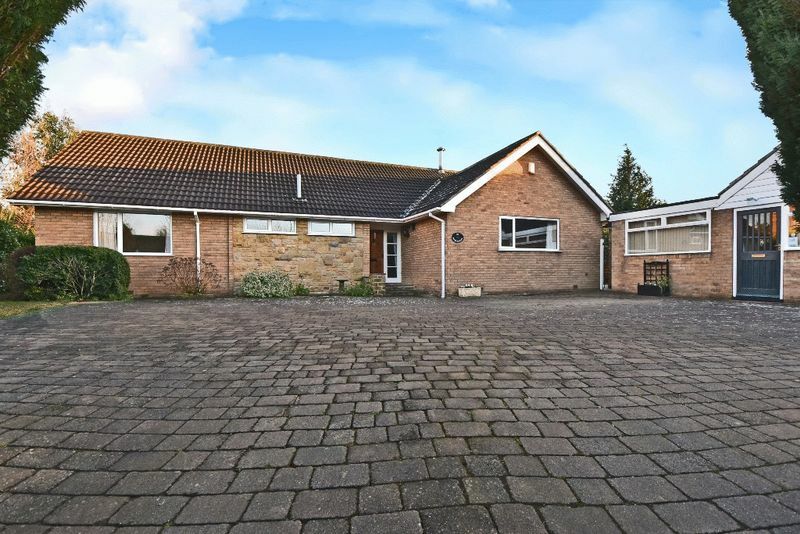 The property is situated on Stoney Lane within the village of Chapelthorpe. 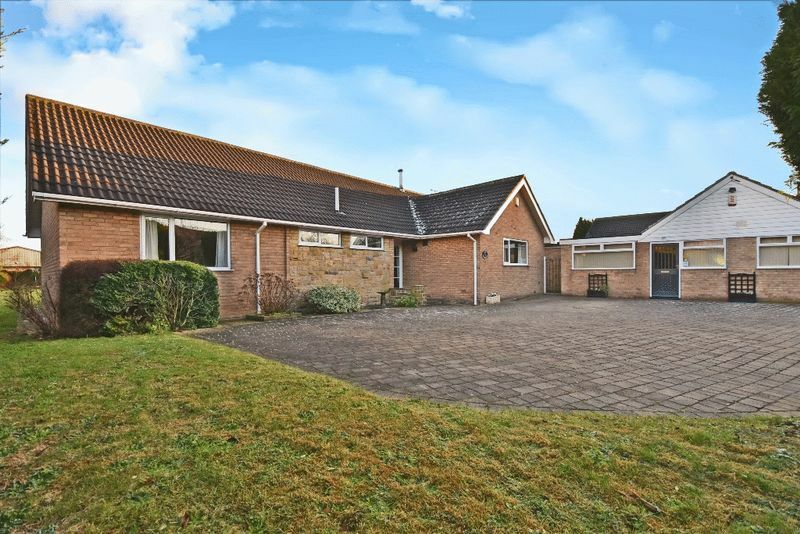 This highly regarded and sought after village location is within easy reach of Wakefield, famous for its Cathedral and more recently the nationally acclaimed Hepworth Art Gallery, and has a wide range of local amenities, facilities and schools nearby. 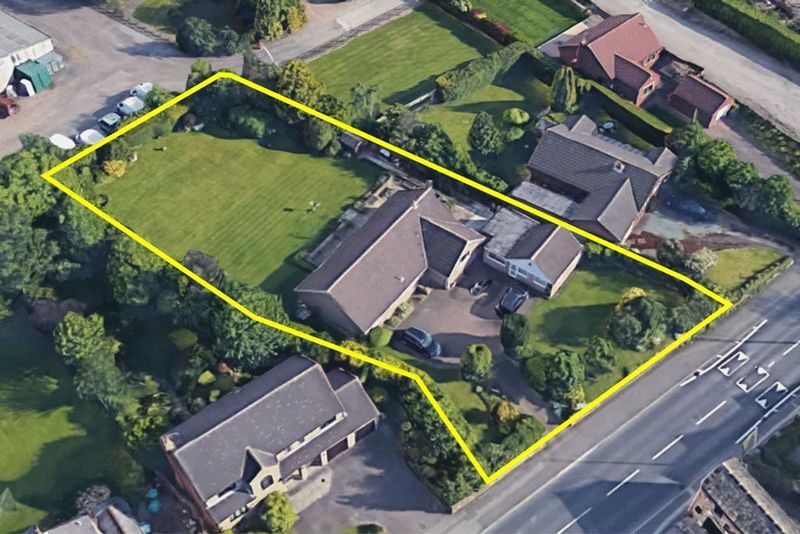 The location provides excellent commuter links to the Yorkshire region with easy access to the M1 and M62 motorway networks, allowing the regional centres of Leeds and Sheffield to be reached within half an hour by car. Wakefield Westgate Railway Station on the East Coast Main Line is around 4 miles away allowing London Kings Cross to be reached in just over 2 hours. 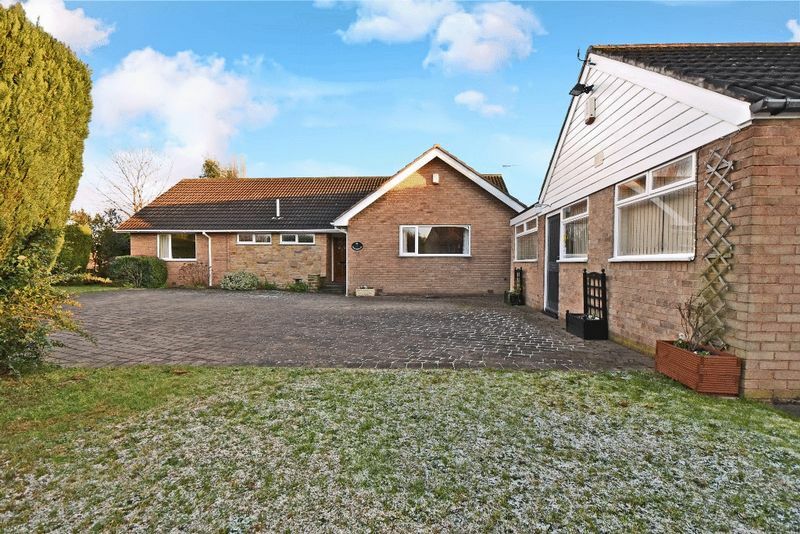 The spacious property briefly comprises; entrance hallway, living room, dining room, kitchen / breakfast room, 4 double bedrooms, bathroom and separate shower room. The property was originally designed to be wheelchair accessible with wide doorways into each room being easily accessible from the centrally located entrance hallway. 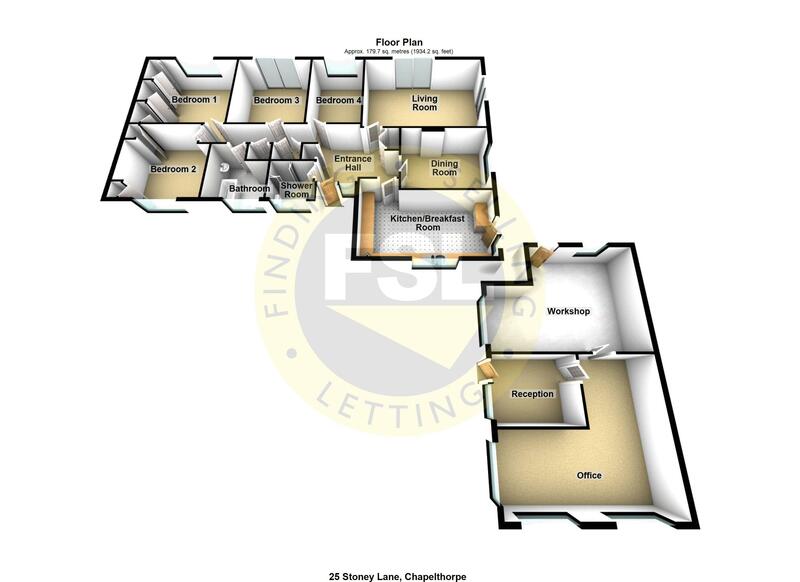 For further details on the room layout please refer to the floorplan. 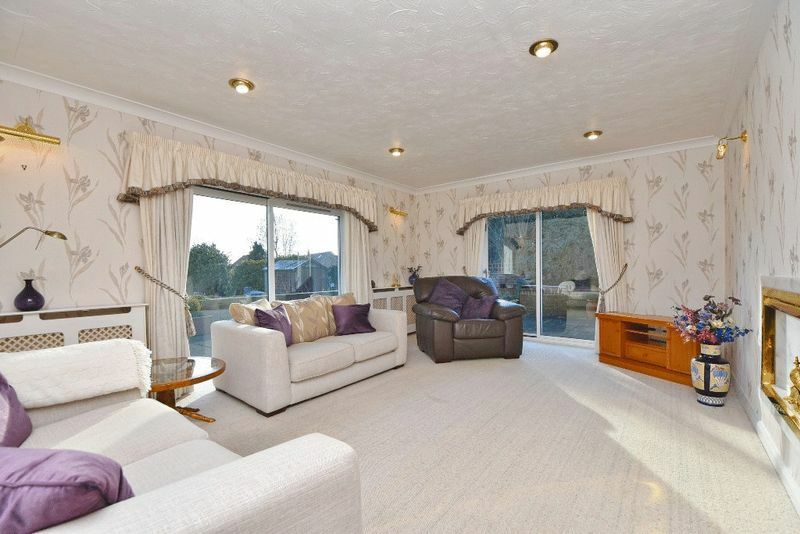 A bright and welcoming entrance hall. 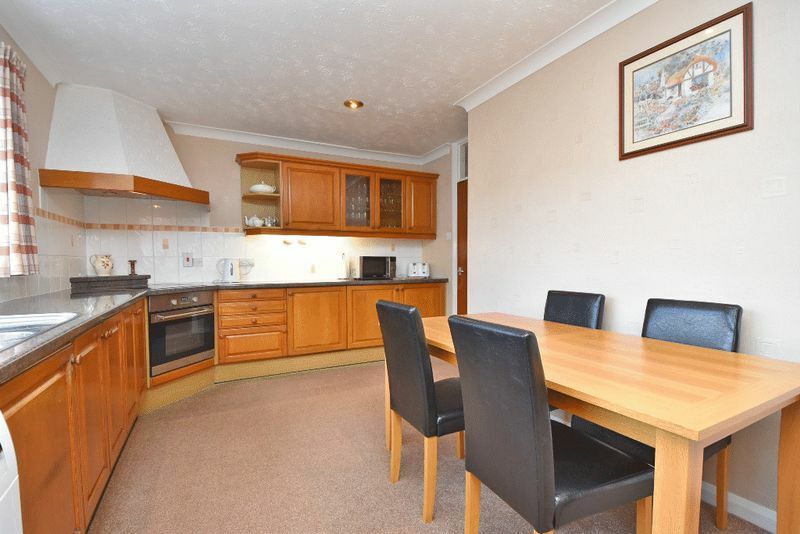 With useful built in storage cupboards and loft access hatch. 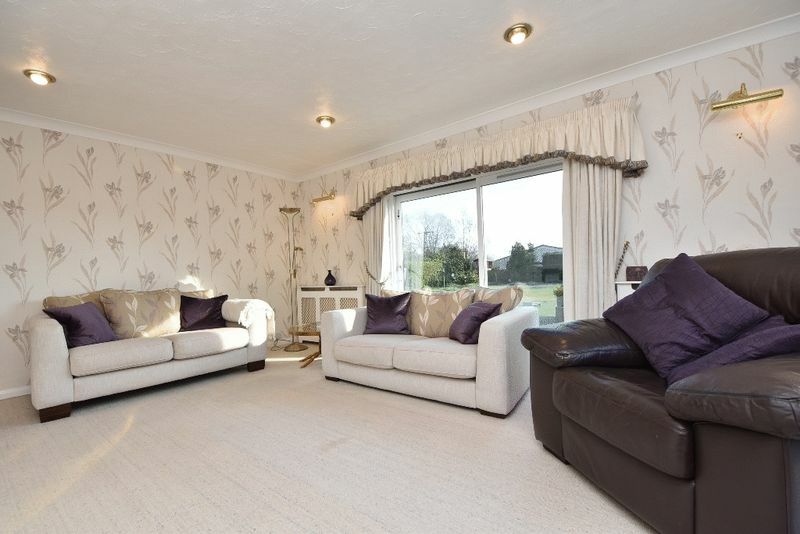 A spacious and attractively presented dual aspect living room with two sets of patio doors providing views out to the extensive rear garden and private patio area. Fitted with an extensive range of base and wall units with integrated electric oven, halogen hob, extractor and fridge / freezer. Plumbing and under counter space for a washing machine and tumble dryer. 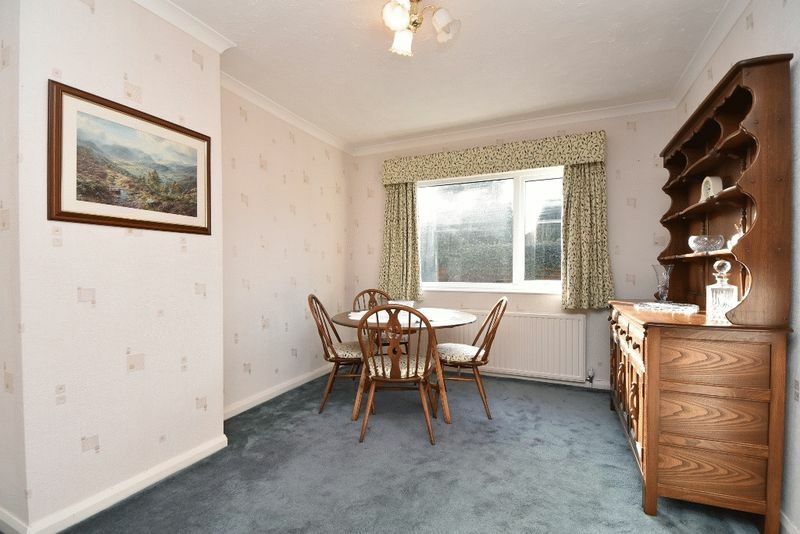 Ample space for family dining. Side entrance door. 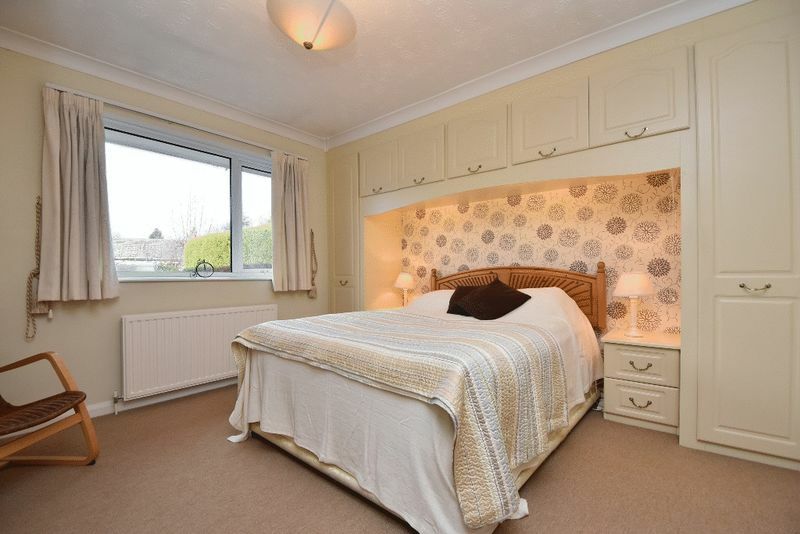 A well proportioned double bedroom fitted with an extensive range of quality fitted bedroom furniture. 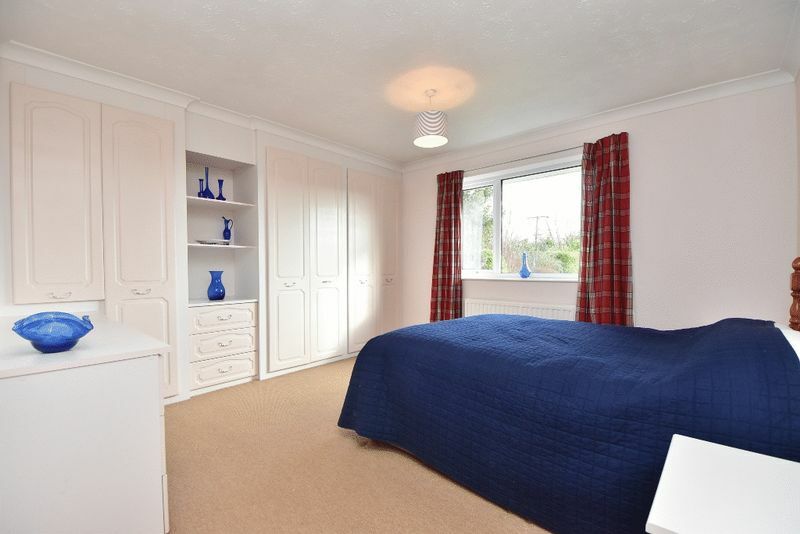 A second double bedroom with fitted wardrobes and overbed storage units. 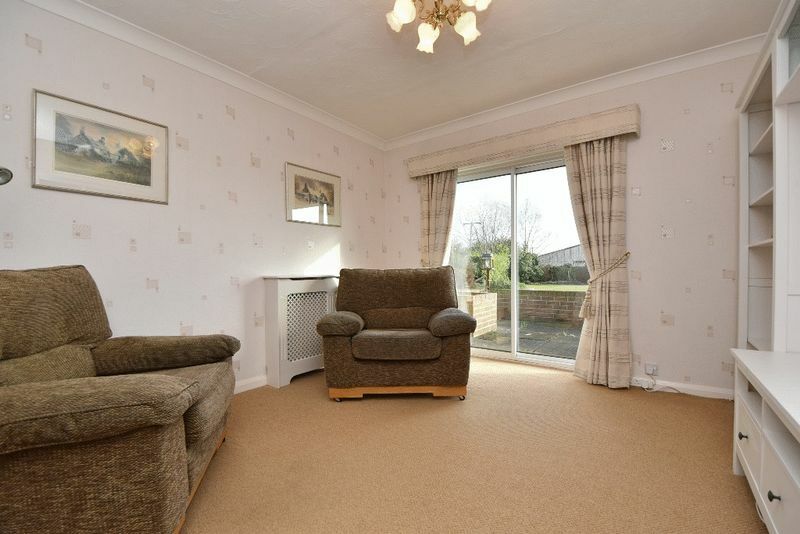 A third double bedroom which benefits from patio doors leading out to the rear garden. 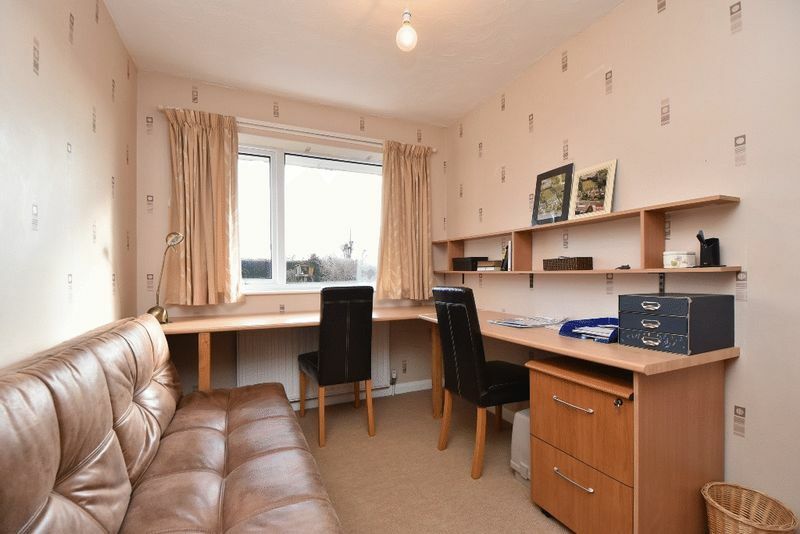 A fourth double bedroom which has previously been used as a home office. With useful built in storage cupboard. 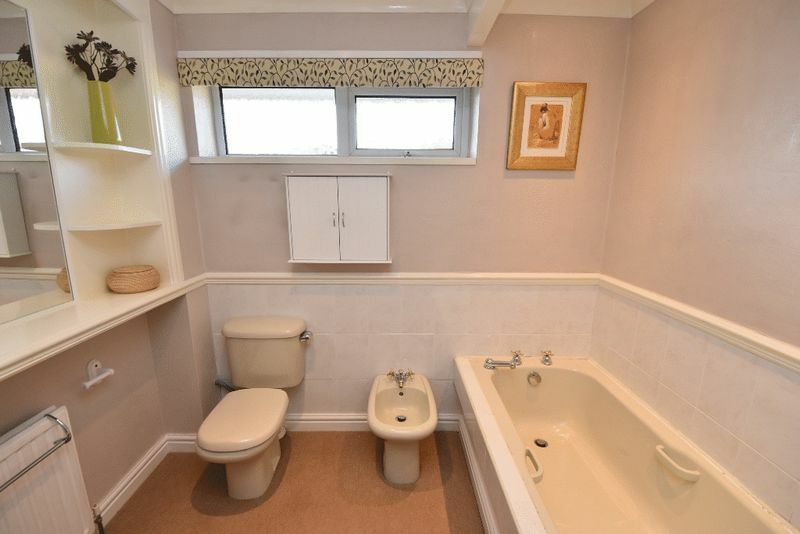 Fitted with a coloured 4 piece suite comprising a low flush WC, bidet, pedestal wash basin and panelled bath. 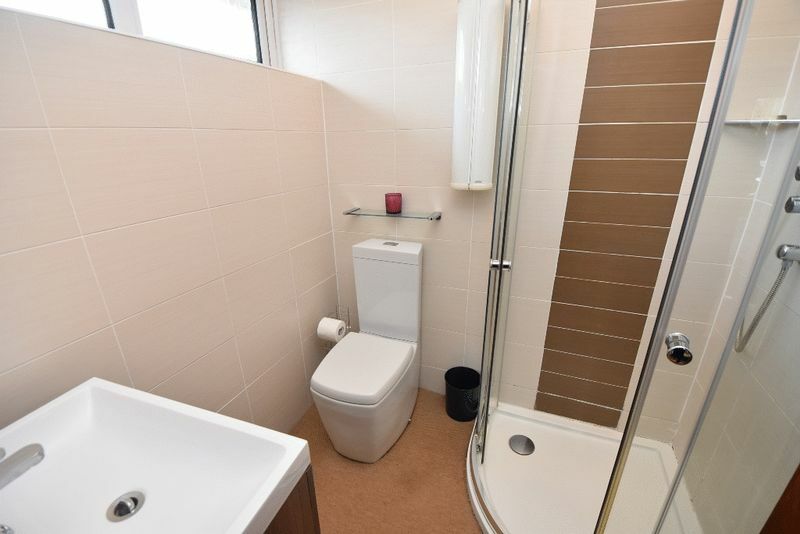 Fitted with a contemporary white suite including a vanity unit with inset sink, low flush WC and glazed quadrant shower enclosure with thermostatic mixer shower. 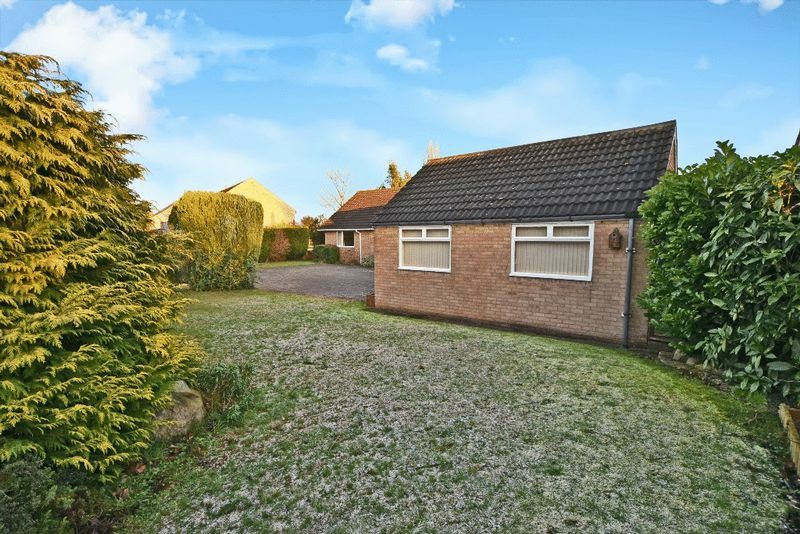 The annex, which is detached from the bungalow, comprises a reception area, office and workshop. It was originally used by the vendor's family running a machinery sales business from the premises and has a separate electric supply. It would be suitable in its current arrangement for a variety of uses or has potential to be converted for both business or residential use, subject to obtaining the necessary consents. 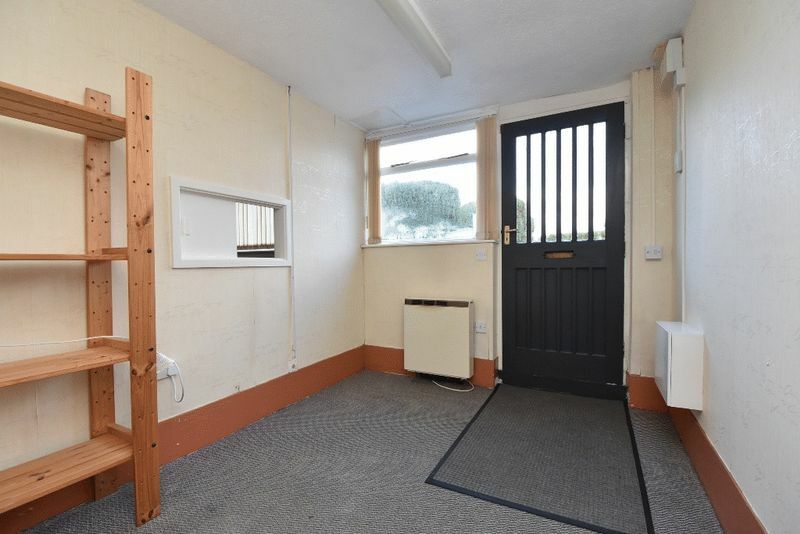 Previously used as a reception / office area but suitable for a variety of uses. Spacious office / work space. Workshop / storage area suitable for a variety of alternative uses. 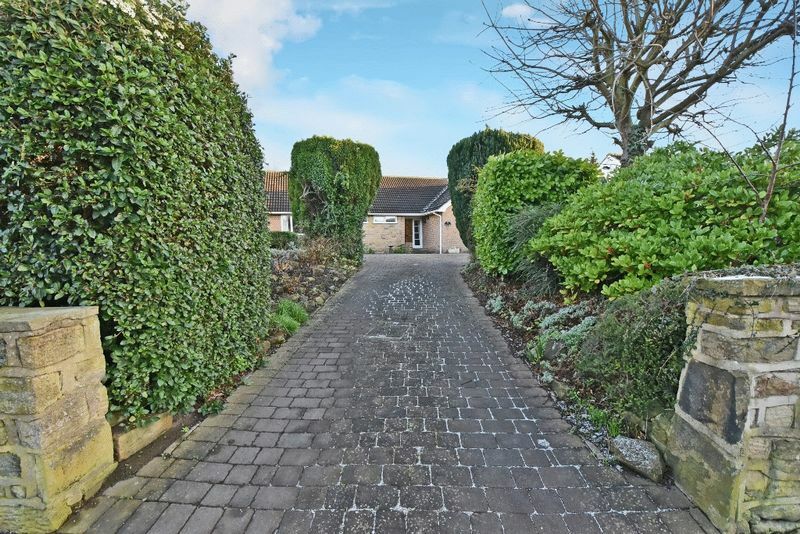 The property stands within enclosed, well maintained, private gardens, set back from the main road with block paved driveway leading to a parking and turning area suitable for several vehicles. 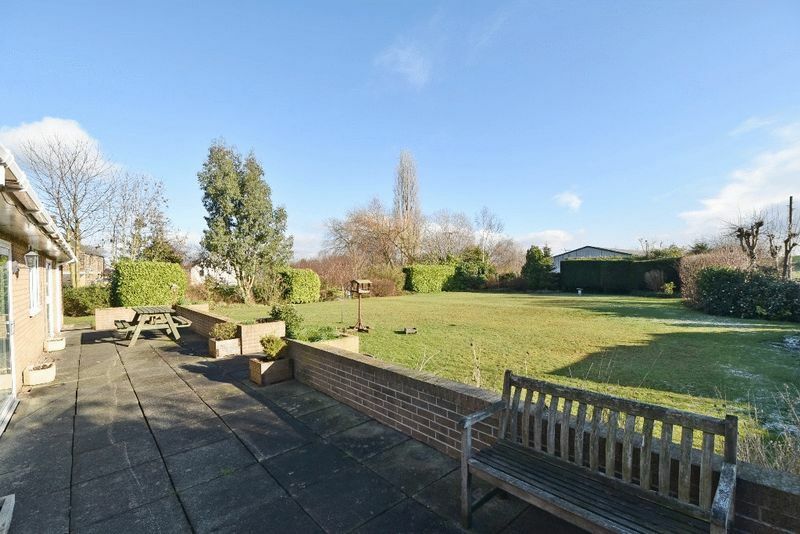 The landscaped gardens are enclosed by mature trees and hedging with extensive lawned area to the rear. Please note that the area of the gardens has been measured using Google mapping software which indicates a total area of 0.396 acres but this has not been physically measured on site so is provided as a guide only. 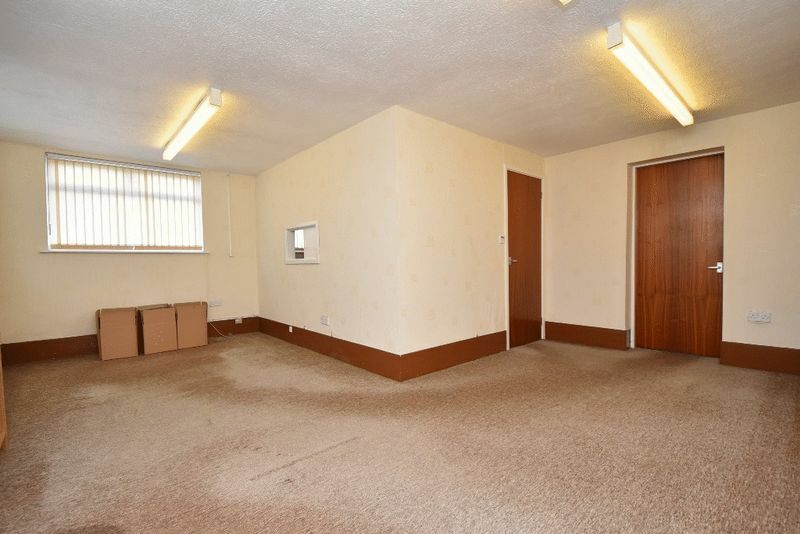 The property is registered for council tax purposes as band F.